The killing of Mark Duggan at the hands of an unknown Metropolitan Police officer is said to be at the heart of the protests, rioting and looting mostly by young disaffected males that has erupted across our cities over the last few days. A 29 year man has left behind four children and his long-term partner and fiancée Semone Williams, was among around 200 peaceful protestors outside Tottenham Police Station last Saturday who demanded to know the circumstances surrounding Mark Duggan’s death on Thursday August 4. What followed in Tottenham and spread to other areas of London, Bristol, Nottingham, Birmingham, Liverpool and Manchester, has claimed the lives of four other people and those deaths are equally as tragic. But while the debates rage on television and radio, in homes amongst families and at work between colleagues, about who is to blame for the destruction to shops and businesses and the lawlessness and violent behaviour taking place on our streets, we are still none the wiser as to who shot and killed Mark Duggan. Like the murder of 27 year old Jean Charles de Menezes, lies were told to the press by the police in an attempt to make the victims seem responsible for their own deaths. In the case of Jean Charles de Menezes, officers who shot the innocent man eight times lied when they said he jumped a barrier and was walking towards them and that he ignored a warning before they opened fire. In the case of Mark Duggan, the police have also been exposed as liars when they said he fired at them and that he almost killed an officer whose radio protected him from Duggan’s bullet. 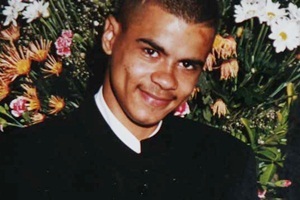 The IPCC‘s ballistic tests have revealed that Mark Duggan did not fire any shots at police officers. The bullet that was found lodged in a police radio came from a police gun. Gosling said that the response by the Met Police to the killing of Mark Duggan was “absolutely disgusting” and that their behaviour was “irresponsible”. According to Gosling there needs to be a fundamental change in the way investigations are conducted into the deaths of citizens at the hands of the police. “We need to know the names of the police officers and firearms people who shot Mark Duggan…as a society it would be nice to see the officer that fired the fatal shot arrested and that would give a lot of confidence that police are not above the law. Independent – a dead man a crucial question: should police have shot Mark Duggan? Rubbish. The guy was a career criminal and had an illegal weapon. The police were right to shoot> Its just a pity they dont now shoot the looting scum. Im sick of this whole ethnic minority nonsense. If your “pc” you shouldnt mention that most crime is perpetrated by these minorities. Lets be straight i dont care what race you are. You commit a crime you suffer the consequences. If the police focus on a certain group its because they are responsible for a disproportinate amount of crime. Under normal circumstances I would have deleted your comment as we do not tolerate racism on this site – and your are clearly a racist – and an inarticulate one at that. But I allowed it to expose the warped mindset of people like you. You do not have the intelligence to make a rationale and measured statement about the shooting. You ignore the evidence of police misinformation about the circumstances surrounding the death – all because you cannot wait to let the world know how much you hate people from ethnic mimority backgrounds.That’s your problem and you must live with it – but do not come back to this website with any more racist dribble as next time it will be deleted. Perhaps, as an investigative reporter, Mr. Gosling might be best served investigating the criteria for criminal convictions in cases such as this and that of Jean Charles de Menezes. As firearms officers, they are only dispatched at times when it is felt necessary, due to either a definite threat to life or where there is strong evidence to suggest this is the case. In the case of Menezes, it IS true that the police tried to lie and cover up the situation, however this was more to do with trying to justify the situation to the public. The officers involved did indeed get it wrong, however it was the intelligence supplied to them before they proceeded which was the cause of the problem. Once the officer is sent out with information that somebody is armed and dangerous, they treat that person as such, and rightly so; you cannot expect them to take chances with their own lives, those of their colleagues and those of the public. If the information provided to the officers involved is wrong, then the officer that fires the fatal shot can rely on the defence of ‘mistake of fact’ as they held a genuine belief that the situation was more dangerous than it actually was. This defence is not exclusive to the police; if you or I were to be approached by another person who causes us to feel a genuine threat of imminent unlawful contact, then so long as we are sober, we do not need to wait for that contact to rely on the defence of self-defence, as it was a genuine mistake. Of course none of this is relevant when trying to write sentationalist material in order to sell papers or get hits on a website. Still, who cares about facts? Especially when you can criticise the police for failing to act whenever tragedy occurs at the hands of the public, yet criticise them for acting with a genuine belief that they are preventing a tragedy the next day. I’ve read the article you’ve written, and I just wanted to make a comment. I can appreciate that people are outraged by the recent circumstances in Tottingham, and that those same people want those people who have made mistakes to be held accountable. 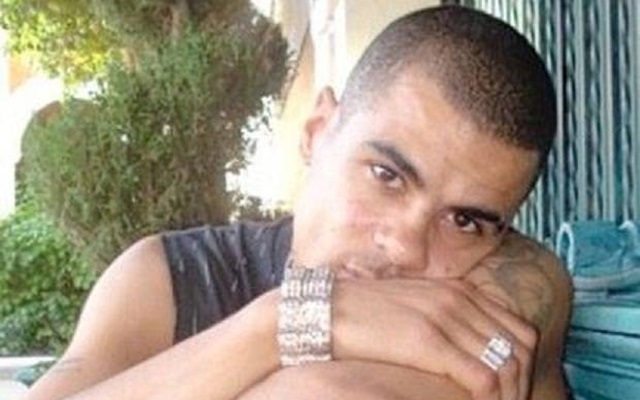 The death of Mark Duggan by a police officer is something to be looked into. However, I think that unders the circumstances Mark did much to encourage his own permature death, regardless of the ‘mistakes’ by said officers. The man was carrying an illegal, modified firearm, and had a history of violent criminal behaviour. Although it has been shown thusfar that the initial bullet in the one officer’s radio was of police issue, it does not mean that 1.) Mark did not have police issue bullets, and 2.) That Mark did not fire first. I would also say this: If you were a police officer going to apprehend a man you knew to be in possesion of a working firearm (a fact that has been proven in the aftermath already), would you want to be hand tied by knowing that if you fired first, regardless of the threats you were presented with, you’d be punished? Personally, I believe that under some circumstances it is ok to fire first. For instance, if someone raises a firearm toward an officer and that officer fires first, that is permissible–and even expected. In the military they teach you that hesitation leads to death. As a police officer, who went in to apprehend a known criminal who was illegally armed, I think the use of deadly force was authorized and even understandable. It is a disgrace, and an inditement of our legal system, that although 333 people have died in police custody since 1998 not one police officer has been convicted for actions relating to even one of those tragic deaths. However, given that Mr Gosling claims to be an investigative reporter, his contribution is disappointingly inaccurare; either through shoddy research or bias. The IPCC says that 75% of those 333 people were white, and that three-quarters died of natural causes related to drugs and/or alcohol. There are clearly issues to be debated about how police treat people they arrest, who are unfit to be immediately released, but Mr Gosling’s inference that the police maltreat large numbers of ethnic minority people after arrest are unhelpful and unwise. Aren’t the police officers brave enough to adopt an alternative strategy to defend themselves from harm’s ways instead of shooting anyone first and figure out later that their victim(s) is unarmed or innocent? Incidence of ‘miscalculations’ by police officers are quite common. We are all familiar with incidents like this: e.g., a police officer ordered his suspect, a young black man, to drop the item [perceived by the officer as handgun] from his hand. God knows what happened… The suspect was shot and killed with multiple bullets by the officer(s), who later discovered the very object from victim’s hand was nothing but his wallet. After reading some of the comments offered above, it seems to me that the notion of the inherent criminality of men of color does not stop at the shore line’s edge. Apparently this universally-held maxim holds whenever and wherever Black men co-mingle in Western society. This unequivocal mythology, nurtured in justifications of slavery,colonialism and exploitation, distilled in white guilt and fear, allows whole components of society to reach conclusions well before the full weight of the evidence is measured. In less euphemistic terms, it is called prejudice and bigotry. Is it any wonder then, saddled as they are with the presumption of guilt, that cynical and disenfrachised youth choose to seek redress where they won’t be adjudicated by the very bigots who’ve already convicted them?